History: Belleaire Elementary School was opened in the fall of 1952 to accommodate the tremendous growth at Offutt. 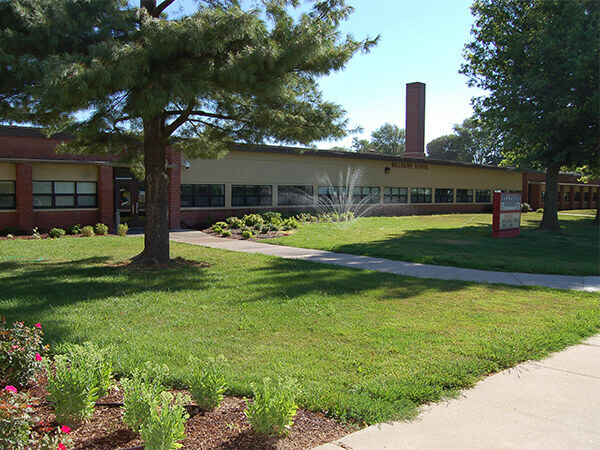 The school district passed a bond issue to purchase land for the new schools and the federal government provided some funding to build the schools. The citizens of Bellevue were asked to name the new school and Belleaire was selected. However, when the City of Bellevue annexed the land where the school was located, the official documents that were drawn up used the spelling “Bellaire.” The City has continued to use that spelling for housing developments and Bellaire Boulevard. School Purpose: To be a school where all families and our community can be involved in the education of our children in many ways.